Hotel ibis Styles Aalen. Book now! Free Breakfast and Wifi! The experience was very good. Everything was good, kind and prepared personal. Great small hotel in the city centre of Aalen, DE. Perfect service with very good breakfast in a quiet and relaxed atmosphere. My room was a littlie bit too warm and for some reason the window was not possible to open. Good hotel for business trip. Room doesn't offer a safe. Free Wifi works fine. Bed quality is good. Room was in a good condition. Location is conventient. The parking lot is tricky to maneuver (very narrow). The lack of essentials in the room (toiletries) contributed to the impression that is quite cheap hotel - the price didn't match what's offered. Breakfast was nice. Staff were extremely friendly and helpful. Location was ideal. All staff are friendly and make you feel welcome. Room is clean and quiet. My only comment is the food selection at breakfast is limited and the scramble egg taste very bad. The hotel was well located, clean and friendly. The breakfast was plain but satisfactory. The coffee was not very good at all. More staff was needed to clear the plates from the table. Having small but modern and tidy rooms with good beds, this hotel is a decent option for up to a week of business travel - but really not much longer I'd say. Despite the breakfast buffet being really great, escaping the extremely tight driveway of the parking garage really puts a stress on your nerves in the morning. Especially during the winter months, when the roads are slippery and you're driving a rental car that you're not used to. Having the company pay the bill really is the only option that I can think of, when I'm trying to figure out how they can get away with charging you an extra 10,- € per night for parking. Your staff support was extremely good , Particularly people like me who came from India to Germany. Contrasting to old charm of Aalen with the modern style hotel is very unique. The location is outstanding and Breakfast is a treat to get your day started. Staff is very friendly, and accommodating. Book well in advance if you want to experience this new and exiting hotel. 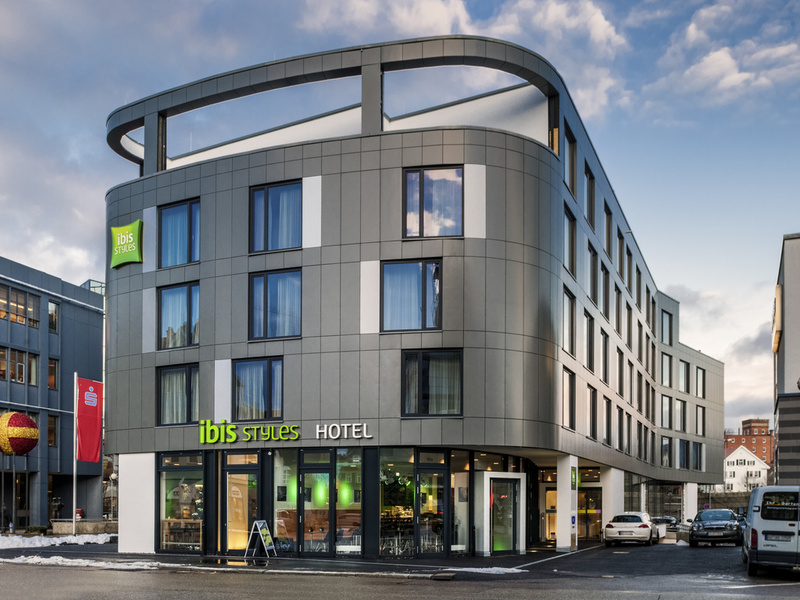 Ibis Styles Aalen is a nice, modern, clean Hotel but has some flaws. + Modern + Good breakfast + good location - The garage is a nightmare if you have a bigger car. - The room prices are fluctuating by a lot. - Some rooms smell bad because of the showers drain. - Worst thing and possible dealbreaker in the future. Free Wifi is garbage and I am absolutely not willing to pay for internet!!! The hotel is good, but parking is hell in your underground parking. Parking space outside the hotel in insufficient. Please improve the driveway to your garage. The hotel was clean and the staff friendly. My only grumble was the quality of the breakfast. Choice was limited and one morning the bread had run out.